We are proud to announce that Jesus Cerezo has joined our team as a Design Engineer. 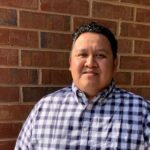 With nearly 15 years of related industry experience, Jesus last served as a software developer for Waveguide Consulting, where he worked on multimillion-dollar projects for companies such as Coca-Cola, Hyatt, and the Arthur Blank Foundation. Prior to this, Jesus worked as a senior programmer for AVWorkz, where he served as an AV system design and implementation programmer. Jesus has a degree in computer science, deep experience in design and programming across a wide variety of languages, and has earned a substantial list of industry certifications. We look forward to introducing Jesus to you soon!